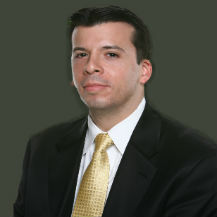 The law firm of Ginarte, O’Dwyer, Gonzalez, Gallardo & Winograd, LLP, represents injured workers in all kinds of New York and New Jersey construction site injuries, including cases arising from on-the-job accidents, industrial injuries, and wrongful death claims for dependents and other related claims. Our construction injury lawyers can guide you through the complicated rules of the Worker’s Compensation hearing panels, disability claims, and even third-party claims. If you’ve been seriously injured in a New York or New Jersey jobsite accident, please call us for immediate attention at 1-888-GINARTE. New York: The law firm of Ginarte, O’Dwyer, Gonzalez, Gallardo & Winograd, LLP, has an office conveniently located at 225 Broadway in New York City. We serve the five boroughs of Manhattan, Queens, Brooklyn, Staten Island and The Bronx, as well as Long Island (Nassau and Suffolk Counties) and downstate New York (Rockland, Westchester, Orange County and Duchess). The number is (212) 601-9700. Newark: We maintain an office in Newark to assist all types of accident victims in New Jersey, including victims of construction site accidents caused by falls, falling objects, fires and explosions. Our number is (973) 854-8400. Perth Amboy: We have an office conveniently located on New Brunswick Avenue in Perth Amboy. Call our Perth Amboy office at (732) 376-1911 for immediate help on your New Jersey construction accident claim. Elizabeth: The law firm of Ginarte, O’Dwyer, Gonzalez, Gallardo & Winograd, LLP, has an office conveniently located on Elizabeth Avenue in Elizabeth. Call our Elizabeth office at (908) 372-1700 for help with all New Jersey construction accident claims. Clifton: From our office on Main Avenue in Clifton, we offer immediate help for jobsite injury victims. Call our Clifton office at (908) 859-5500 to get us started on your New Jersey construction accident case. Union City: Our Union City office is located on Bergenline Avenue. Call (201) 809-1100 for help with New York or New Jersey construction site accident claims. Queens: Our Queens office is located on Roosevelt Avenue in Jackson Heights. Call (718) 925-6029 for help with a New York accident or construction site claim. If you have been hurt in an NY / NJ construction accident, you need to talk to the Ginarte law firm today. Call now for a free consultation. There’s no risk. In fact, you pay us a fee only if you win your case. Dial 1-888-GINARTE now. If you prefer, you can fill out our online contact form. Either way, don’t wait. New York and New Jersey construction accidents have time restrictions. Don’t let delay bar your right to recovery.